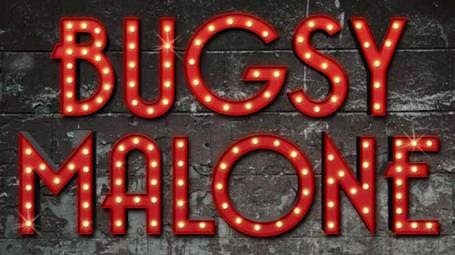 Casting has been announced for Glasgow's first Stage Experience production of Bugsy Malone! The 90 strong cast of young performers aged 9-18 years old will embark on an intense two week course led by industry professionals culminating with three live performances on the Theatre Royal stage on Friday 31 July and Saturday 1 August. Set in 1929 in New York’s criminal underworld, Mob boss Fat Sam is under threat from Dandy Dan’s new gang and their latest weapon – the dreaded splurge gun! His only hope is Bugsy Malone, a washed up but well-meaning boxer who is thrust into the gangster limelight. With twists, turns, gangsters, showgirls and splurge fights galore the plot unfolds leading to a spectacular showdown at Fat Sam's Grand Slam! 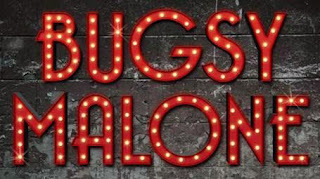 Starring in the title role of Bugsy Malone is 16 year old Euan Strachan from Kilmarnock. The Grange Academy pupil enjoys drama classes and has starred in a number of school productions including The Crucible, Footloose and Men Should Weep. Bugsy Malone is one of Euan’s favourite films and he is looking forward to gaining more performance experience. Anna Cowen, aged 15, from Glasgow takes on the role of Blousey Brown, a sassy aspiring singer hungry for Hollywood fame and Bugsy’s love interest. Anna is a member of Harlequin, Eastwood Youth Theatre Group and has featured on the BBC Watch Night programme. Anna plans to pursue a career in musical theatre and is eager to learn more about the production process. Aspiring actor Alastair McLeod is Fat Sam Staccetto, crime boss and owner of the Speakeasy club. 15 year old Alastair from Cumbernauld is a member of Stagecoach Stirling and the Scottish Youth Theatre. He is also a keen musician playing piano, trumpet and the bagpipes. In addition to performing in school productions, Alastair regularly sings in school choirs. Rival gang leader Dandy Dan is played by 16 year old Luke Gallagher. Drama is Luke’s favourite subject to study and he has starred inGrease with Glasgow School’s Youth Theatre. Luke also enjoys singing and playing the guitar. He hopes Stage Experience will help develop his acting range. 12 year old Sara Cartwright from Paisley takes on the role of Tallulah, made famous by Jodie Foster in the 1976 film. Sara is no stranger to the stage having starred in a number of amateur productions including the lead role in Annie, Gretl in The Sound of Music and Susan Waverly in White Christmas. In addition to playing tenor horn and piano, Sara has dance experience in a variety of styles including tap, ballet, majorette, Highland, freestyle and rock ’n’ roll. Sara is looking forward to making new friends and performing for the first time on the Theatre Royal stage. Funny, riotous and irresistibly charming, Alan Parker’s joyous musical, with words and music by Paul Williams, is fun-packed and bursting with songs you’ll love including Bad Guys, My Name Is Tallulah and You Give a Little Love. BOX OFFICE: 0844 871 7647 – Calls cost 7p per minute plus your phone company’s access charge.